Finnish Animal Fables offers a path into the mysterious green world of the Forest Kingdom. 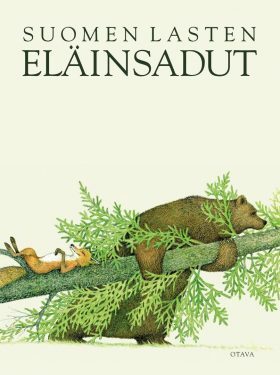 It brings Finland’s forest and its animals close to the children of today and reminds us that the forest is our spiritual home, a sanctuary and a seedbed for adventure. All sorts of forest creatures cavort across the pages of the book: a big, strong bear, a tricky fox, a dour wolf, a quick-witted rabbit and many other rogues.